If a blu-ray burning software for Mac is what you are looking for, first of all, this article will help you out and address many of your concerns since the reliable list is essentially pivotal containing best Blu-ray burning software free. 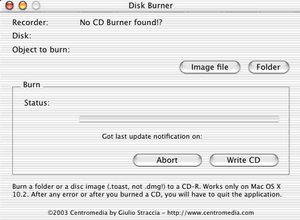 Apart from Blu-ray burning, these tools also have the ability to burn CD/DVD. Take your time and find the one you prefer, it’s never late to try something new and different as you think it is correct. In the first place, we don’t usually come up with an idea that how to effectively pick up a Blu-ray burning software Mac as there are a whole bunch of programs over there as you can see when searching for the keywords. Thus, confusion is commonly sensible and need to be worked out since you don’t want to save it till the last minute you find it wrong and no clue why. Here, I pointed out some main aspects to help analysis what should be chosen as a good Blu-ray burning software for Mac. Let’s get started. Primarily, a system match is what to start with. 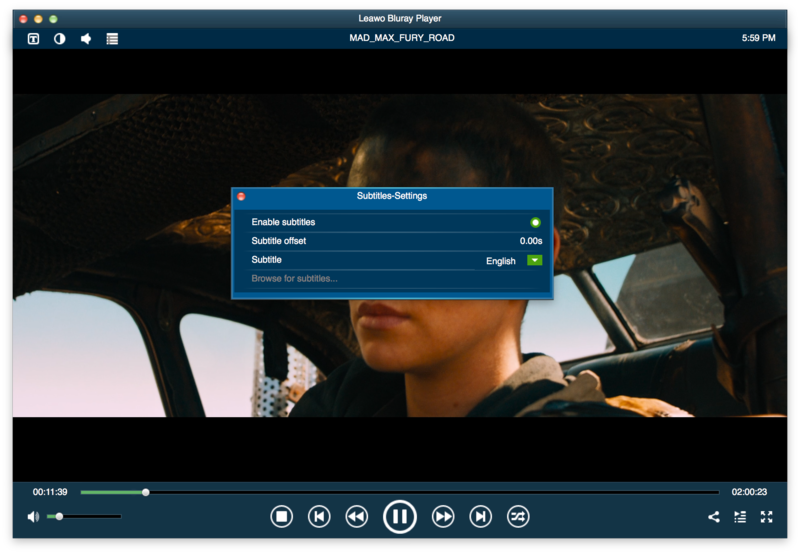 Check each Blu-ray burning software of interest if it fits your operating system, yet this article will be focusing on Blu-ray burning software on Mac. After that, burning speed is one of the basic elements that should be included into consideration as you don’t want to spend a long time burning a single Blu-ray disc while waiting to review the results. Particularly, if you are thinking about a high-velocity running program, you’d better make sure that the program will be capable to handle it without a crash or errors since many of them are unstable whilst burning at a speedy rate. You may expect a compression with no quality loss, correctly, being familiar with the final quality is quite demanding when you are looking for a method to preserve all your massive files perfectly. Figuring out that whether you want a quick way sacrificing some of your clearness or conservatively to retain the same as you wish. Formats are all over the Internet world as containers or conductors, once an uncommon format occurs and the Blu-ray burning software Mac must know how to deal with it. That is to say, sustain the unusual format then burn to Blu-ray disc. For instance, the increasing ISO files are being burned to disc at present, thereby, your choosing Blu-ray burning software for Mac has to support this in our daily needs. Frankly, the more formats offered, the better burning software is. Comprehensive support for different types of Blu-ray and DVD discs is strongly recommended. Furthermore, additional features are appreciated as well. 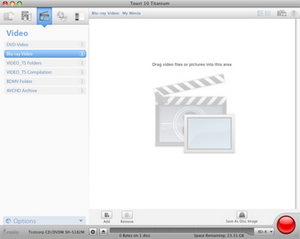 Some Blu-ray burning software Mac provide menu templates and even enable users to customize an ideal menu. Which does the majority of video makers a huge favor. Other functions like adding your favorite song to the menu as the background and rename the titles on the menu are also eye-catching. What’s more, a built-in video player would be so much better to obtain for convenient video playback and preview. Surely, multifunction can be creative if only helpful, check out their websites according to your preference. Overall, picking a Blu-ray burning software mac is never an easy case. 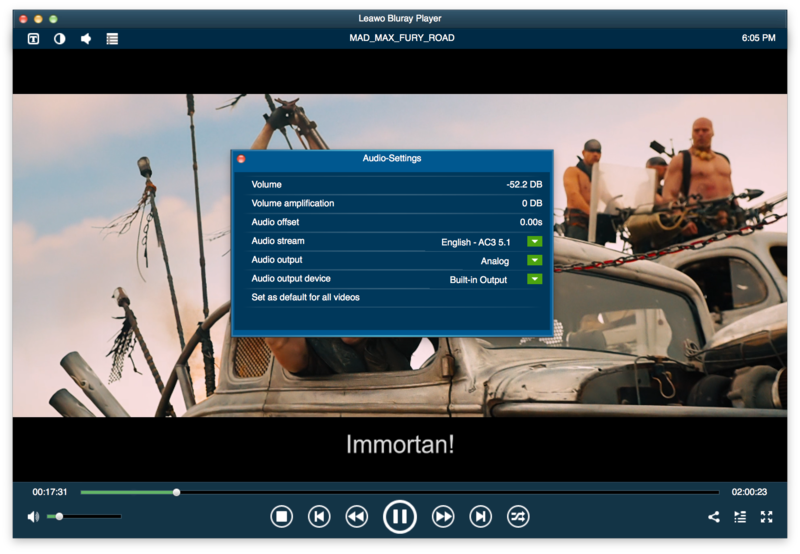 Contemplate all the elements above and have a look at the list of the best Blu-ray burning software Mac. This is definitely the best Blu-ray burning software Mac as it is a professional Blu-ray burning software for Mac users to easily burn files to Blu-ray disc in one click operation. 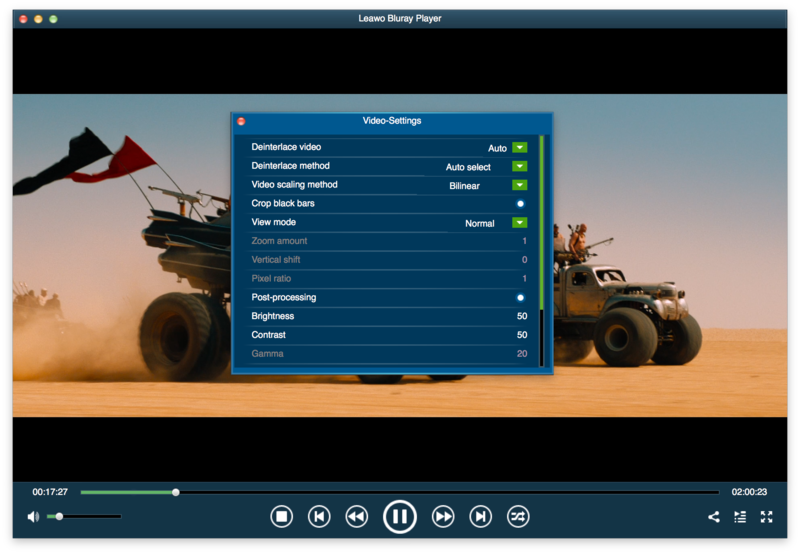 This Blu-ray burning software comes with several useful video editing features: Trim, Crop, Watermark, Effect, and 3D. The 3D effect is truly stunning, to some extents, you can imagine that incredibly edit your video in 360° angle. Handling more than 180 video formats, it still runs like a flash steadily. In addition, it has a built-in video player that allows you to playback or preview any video you’ve imported to the program directly. Roxio Toast has been renowned as the flagship of burning different discs. Generally, with supporting multiple drives that the Mac native software does not, it fixes millions of problems for Mac users. Recently, while the fundamental ability to burn Blu-ray discs remains, it has been merged into a full suite of applications, including utilities to sustain import and clean up audio and photos, import and export TiVo recordings, and even label and catalog Blu-ray discs. From most common disc formats to lesser-used ones such as PhotoDisc, Enhanced Audio CDs, and Video CD/DVDs are all supported. The Roxio Toast 11 Titanium equipped with Blu-ray Video Disk Plugin package enables users to burn any HD video to Blu-ray discs that can be viewed on most commercial Blu-ray players. This Blu-ray burning software Mac can take you to create videos, adjust the contents, and store all your digital files on the Blu-ray Disc. 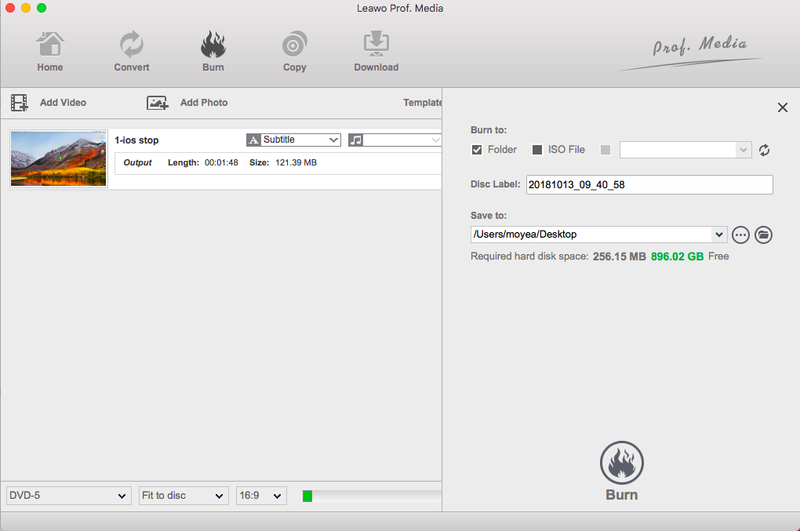 Moreover, this Disc Burner also provides an option to take image files to your local hard drive storage where generating ISO files is available so as to share it with other Mac system users. As the Express Burn is a totally free CD burning software for Mac, the main function is to record a data or audio in a fast and easy way. Similar to other software that you can drag the files onto the icon and hit the burning button. The additional function like audio formats conversion is a plus option and does convenience to most people. Whereas it is including CD/DVD writing process that using proprietary optimizing systems, burning features are available such as Data CDs, Audio CDs, and Mp3 CDs. Upgrading to Burn Plus so that you can burn to Blu-ray. Step 1. Import your sources and insert a blank Blu-ray disc into the disc recorder drive. You can directly drag files to Blu-ray Creator for Mac as one way. Or find and click on the "Add Video" button to browse and add files/folders. As you can see from the bottom, set up the output disc type, adjust the burning speed, and set aspect ratio as 16:9 because 16:9 is only available for Blu-ray). Moreover, required space is described. 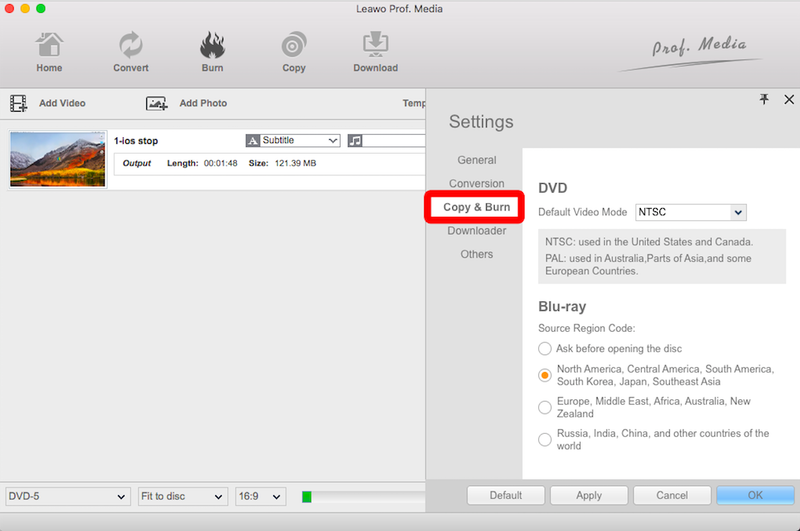 Move up to the menu panel of Leawo Blu-ray Creator and click the "Preferences" for entering Mac Blu-ray Burner settings. Then navigate to the "Copy & Burn", there you can choose default DVD video mode from NTSC and PAL, according to the place you locate. When you are ready, hit the big green “Burn” button and a sidebar will be shown to set final burning settings, such as “Burn to”, “Disc Label” and “Save to” options. The directories can have multiple choices as now you can select the black Blu-ray disc as target under the “Burn to” option. 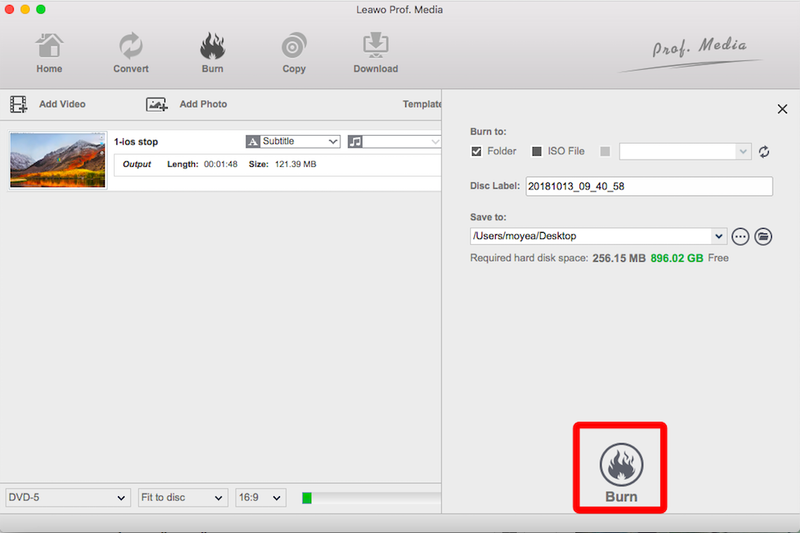 Finish with clicking the "Burn" down on the popup sidebar so as to begin burning a Blu-ray disc with Leawo Blu-ray Creator for Mac. Ultimately, it is time to verify the great program once finished with Blu-ray burning software on Mac. Here is a tip to test the disc effectively and efficiently – utilize Leawo Blu-ray Player to play the Blu-ray disc to see if the disc can be read and performed well. 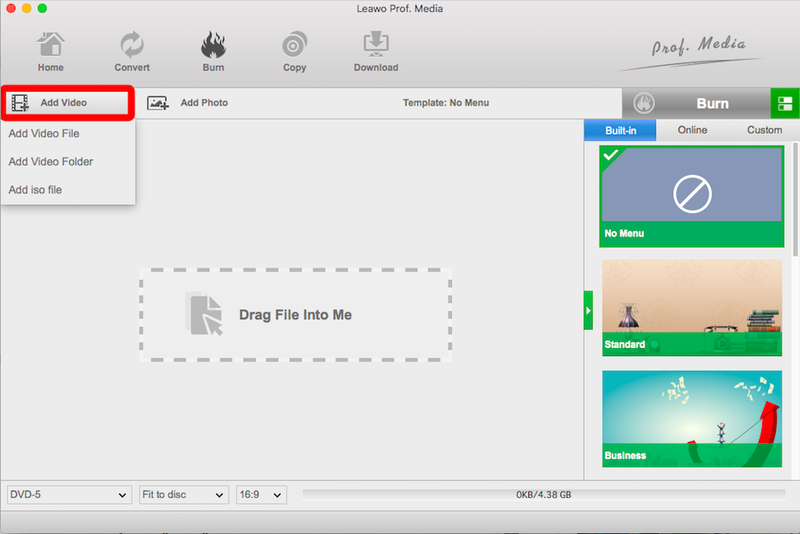 And this process is rather easy as you can conduct it within several clicks if your Mac is equipped with this Leawo Blu-ray Player. Steps are demonstrated below so that you can learn it clearly. Step 2. If video changes are required, right-click on the interface when you are playing the Blu-ray disc, find the “Videos” and enter this panel. Here, you can manipulate with Deinterlace video, Deinterlace method, Video scaling method, Crop black bars, Video mode, Brightness, Contrast, etc. Step 3. Audio settings are also sincerely necessary, getting into this panel by right-clicking the main interface and selecting the “Audios” to adjust Audio Volume, Volume amplification, Audio offset, Audio stream, Audio output, Audio output device and if you want to save time then just leave it as default for all videos. Step 4. Subtitle adjustions are Enable subtitles, Subtitle offset and Subtitles languages. The way to reach it is to right-click and hit the “Subtitles”. Hope every folk finds this article useful for looking for the best Blu-ray burning software mac with a certain degree of knowledge of how to define a good burning program. Of course, the list has manifested what I collected. However, for the best of all, Blu-ray Creator for Mac is highly advised due to its perfection. Additionally, Blu-ray Creator for Mac provides miscellaneous disc menu customization features that I think is very practical. 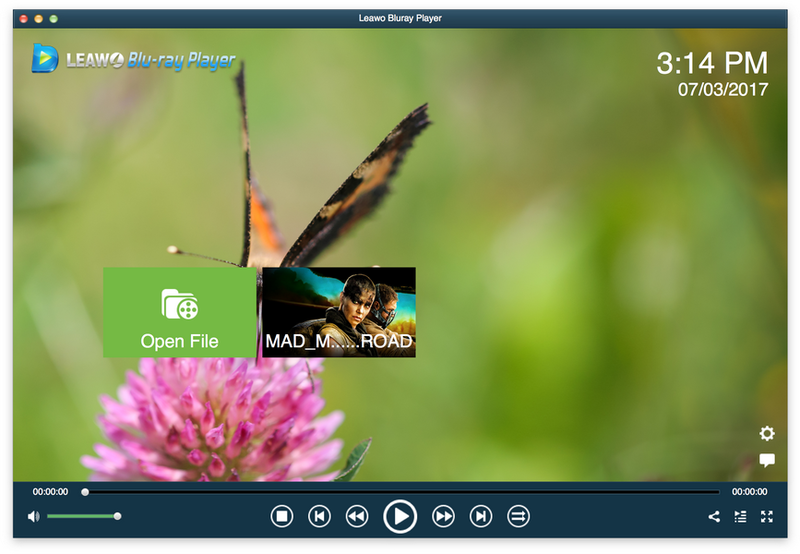 At last, feel free to test your burned Blu-ray disc with Leawo Blu-ray Player at a free cost.